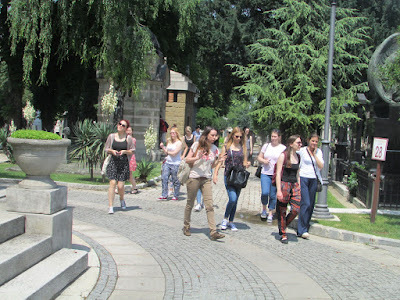 The New Cemetery in Belgrade responded to ASCE call and organized series of events and activities to mark this year’s Week of Discovering European Cemeteries in order to raise the public awareness of the importance of cemeteries and to remind Belgraders and all other visitors that the role of cemeteries goes far beyond that widespread association with places of sadness and unpleasant reality bites. 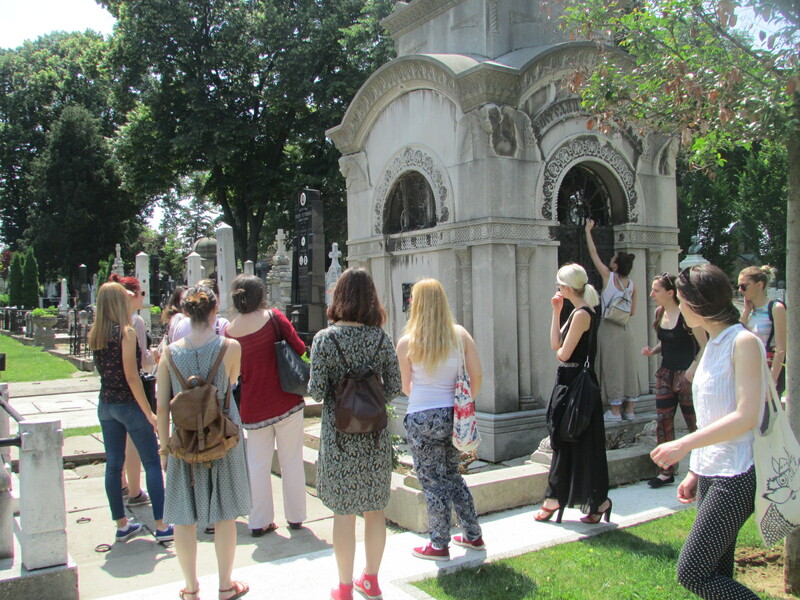 We set our focus to the learning about cemeteries as topoi of memories emphasizing the diversity, necessity and importance of funerary heritage, but also its captivating beauty. 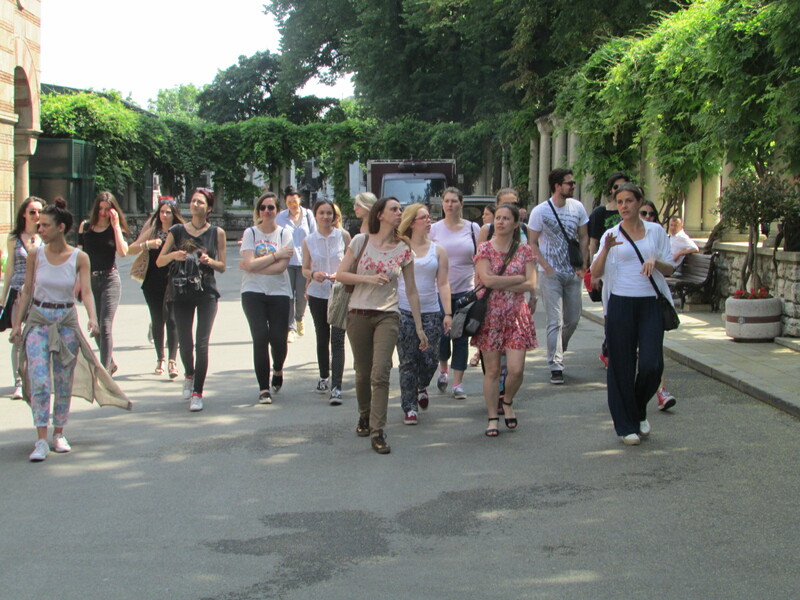 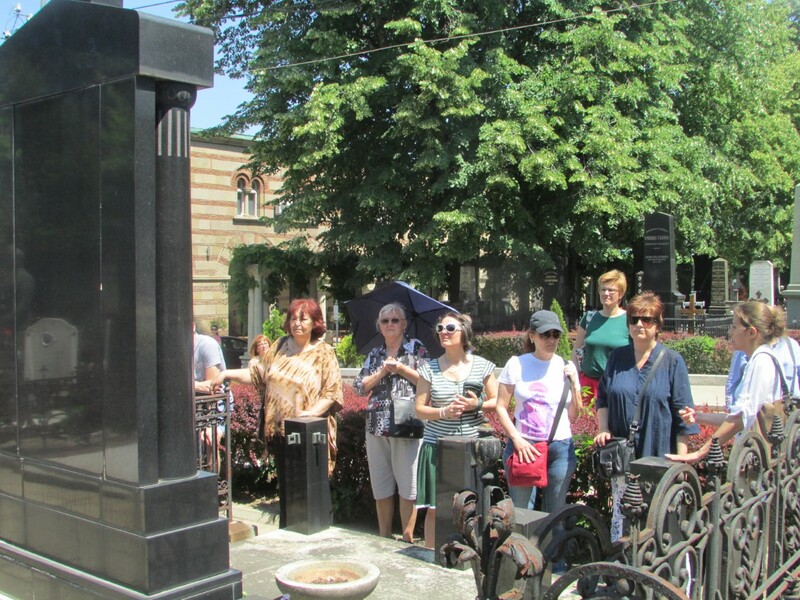 Since the aim was to draw attention at youth about the significance of cemeteries, their contribution to civilization and their outstanding role as history record keepers, this year the New Cemetery in Belgrade marked the Week of Discovering European Cemeteries by organizing an Open Air Lecture Classroom for university students. 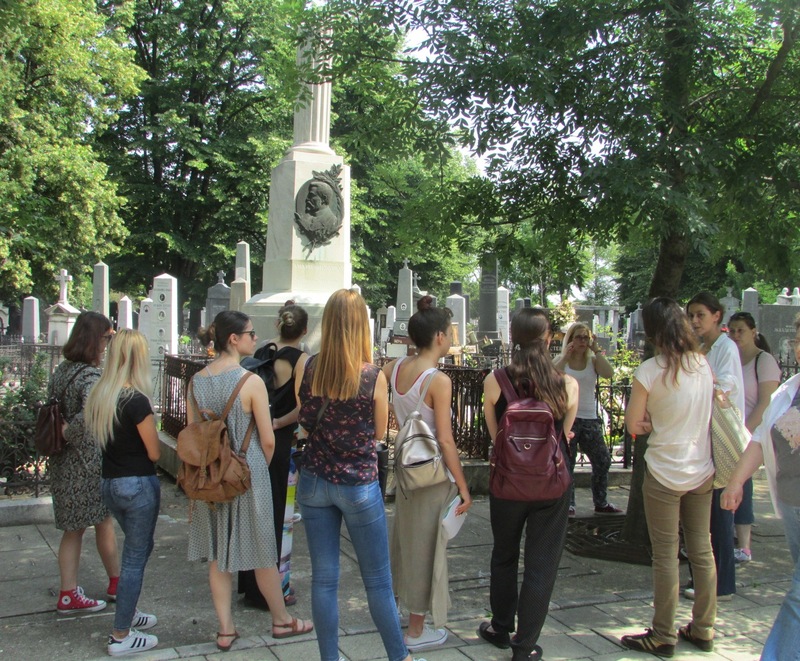 Interesting enough, students of Belgrade University who attended the last year’s internship expressed their strong desire to include the New Cemetery in Belgrade at this year’s program asking for a special thematic group to be formed titled "Architectural Monuments at the New Cemetery." 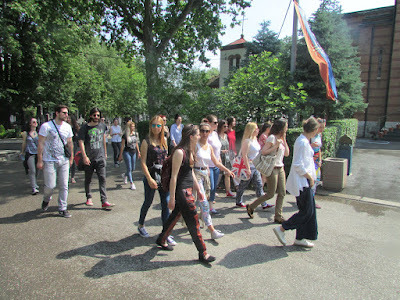 Students of Philosophical Faculty and Faculty of Architecture participated in this project on 2 June 2017. They were guided by art historians and experts in funeral architecture. 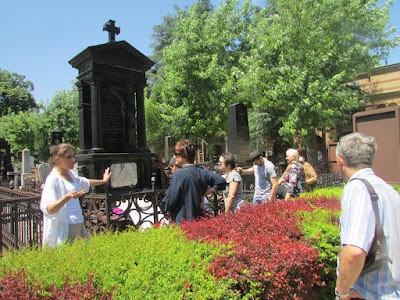 Given their inspirational explanations and many questions students had, a walk through the New Cemetery continued tirelessly for five hours leaving this lecture memorable for all participants. 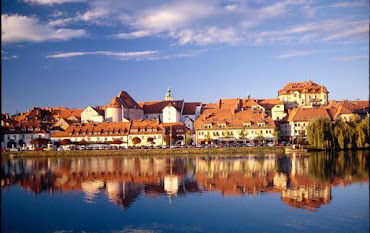 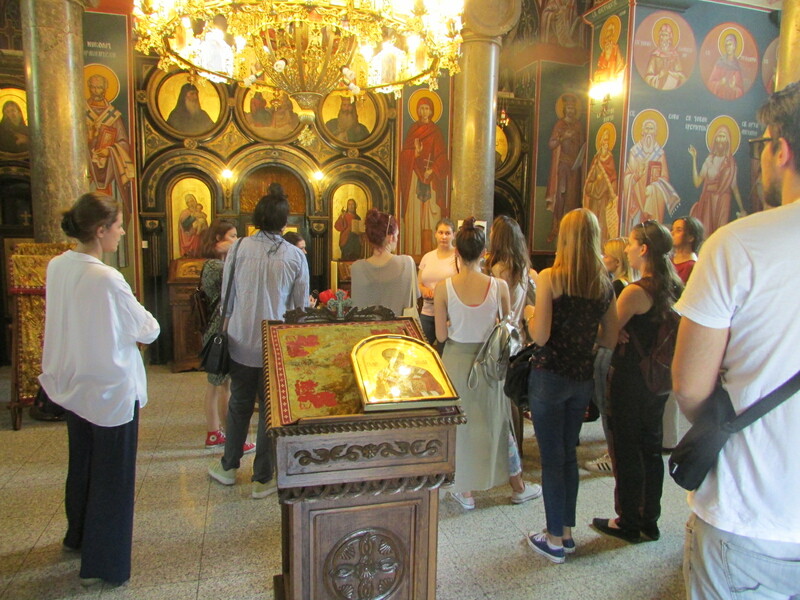 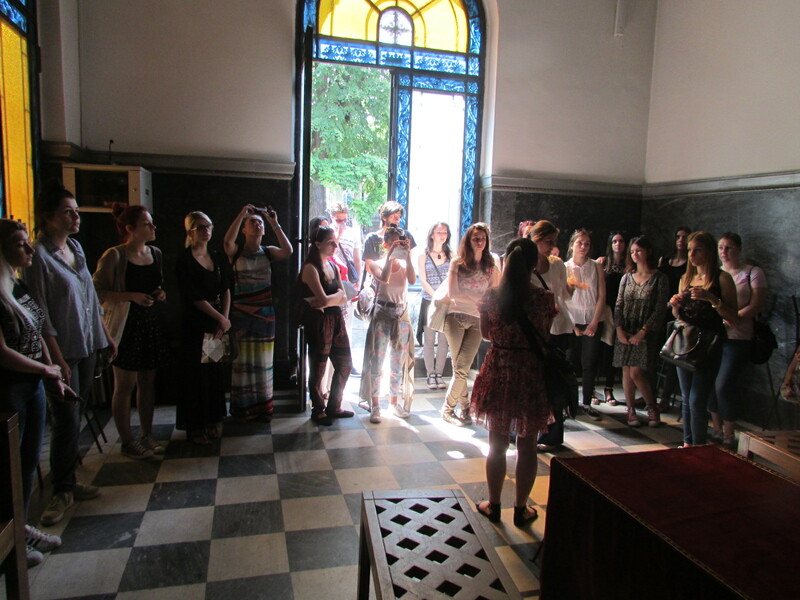 Two days later on Sunday, 4 June, a free guided tour was organized for interested citizens. In spite of hot weather conditions our gifted art historian Dr Violeta Obrenovic employed at Public Communal Company “Funeral Services” caught the attention of public guiding them among the shady alleys and telling exciting stories about the New Cemetery's most famous "residents.” The planned two-hour walk was as we predicted extended and almost doubled, much to the satisfaction of all the visitors.